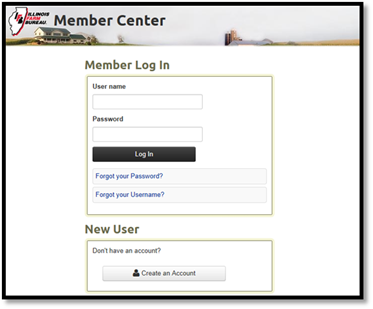 The Lee County Farm Bureau is excited to announce that the online member services database has added a new feature. The Member Center allows you to be in control! You no longer have to stop in or call the Farm Bureau office to update your contact information or pay your dues. By creating a membership profile, you will be able to update your own contact information, reprint your membership card, and pay your dues online in minutes! To create you membership profile, go to https://www.ilfbmember.org to create a Member Log In. Upon doing so, you will be able to update your address, phone number, email, etc., or pay your membership dues from the comfort of your home. For questions or further information please contact the Lee County Farm Bureau at (815) 857-3531. Congratulations to Eleanor Zimmerlein on being named a recipient of the Illinois Farm Bureau Eagle Award for Excellence for her years of service to Farm Bureau and to agriculture.